“Hammerin’ Harmon” or “Killer”, as he was nicknamed, Harmon Killebrew was a left fielder, third baseman, and first baseman who featured for only two clubs in the MLB. 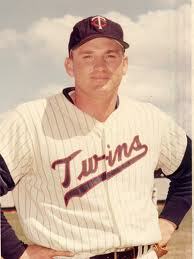 His career lasted 22 years and he played for Minnesota Twins for 21 of those seasons. He then moved to Kansas City and retired as a player for the Royals. At the time of his retirement, Killebrew was the second highest home run scorer in the American League behind Babe Ruth with 573 under his belt. He was also the right-handed career home run leader in the American League when he ended his career. In 1984, he entered into the Hall of Fame for his tremendous contributions to baseball. With magnificent strength in his upper body and a quick pair of hands, Killebrew was not only known for hitting home runs frequently, but was also feared for the distance his hits would cover. The Metropolitan Stadium in Minnesota and the Memorial Stadium in Baltimore have both recorded the longest home runs in their history with Killebrew sending the ball 520 feet and 471 feet away respectively. He also scored a home run sending the ball over the Tiger Stadium’s left field roof in Detroit – something that only three other players have managed to do since. In 2435 career games, Killebrew recorded 8147 At Bats, 1283 runs, 2086 hits, an RBI of 1584, a batting average of .256 and an on-base percentage of .376. He represented the All Star team on thirteen occasions, won the American League MVP in 1969, and finished RBI champion of the league on three occasions. The Minnesota Twins retired his number 3 jersey to pay homage to one of their greatest sons. Although Killebrew was a daunting opponent and hard-hitter, he was a rather quiet and modest individual. Several former players, legends, and managers say that he was among the nicest ballplayers who have ever graced the game. He never drank or smoked and when asked about his favorite hobby in an interview, he replied saying that it was doing dishes. When he featured for the Royals in a game against his former employers and scored a homer, the entire crowd gave him a standing ovation, displaying their gratitude for several great years. Killebrew’s playing style and remarkable personality make him the ideal role model for growing kids. Killebrew had the ability to terrify opponents with the baseball bat in his hands. One of his former managers said that he could belt the ball out of any ballpark, maybe even the Yellowstone National Park! Despite his incredible stature, teammates and fans say that Killebrew treated every single person he met with the highest level of respect. His warm personality made him a much-loved athlete across the country. He launched an NGO to promote healthy life by ensuring participation in sports and helping youngsters pursue their dreams. Killebrew died at the age of 74 in 2011 after losing his battle against esophageal cancer.